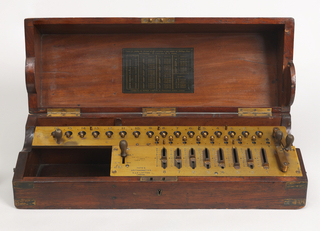 See more objects with the tag green, mechanical, calculation, mathematics. 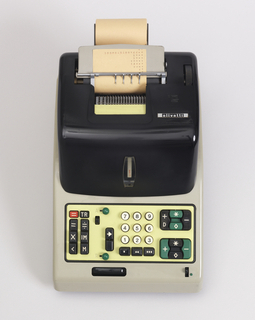 This is a Pinwheel Calculator. 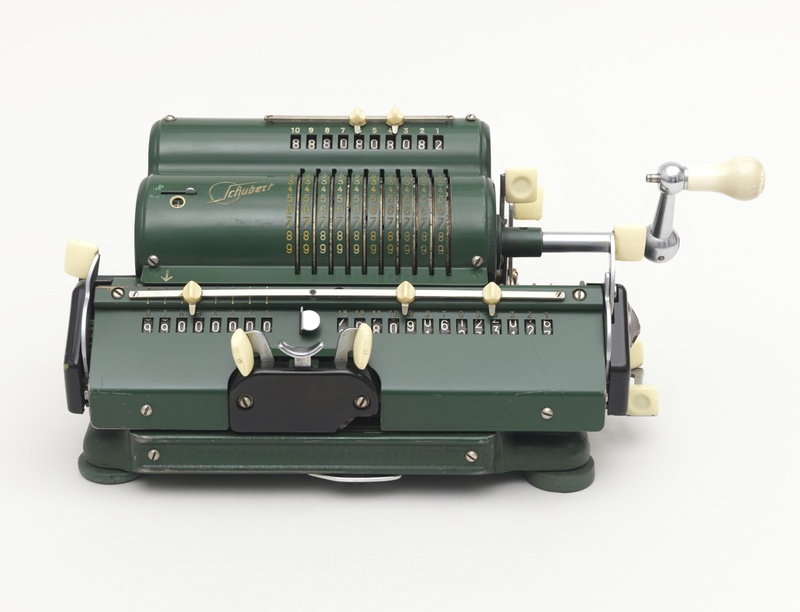 It was manufactured by Schubert. It is dated ca. 1953 and we acquired it in 1986. Its medium is enameled metal, molded plastic. It is a part of the Product Design and Decorative Arts department. 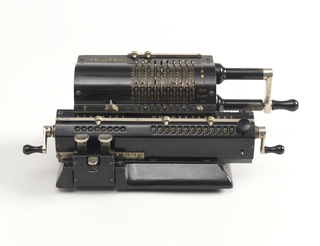 The pinwheel calculator, invented in the 1870s, had circular discs, or pinwheels, with nine retractable pins. A side lever could expose anywhere from 0 to 9 pins, and therefore when coupled to a counter the pinwheels could, with each rotation, add a number from 0 to 9 to the result. 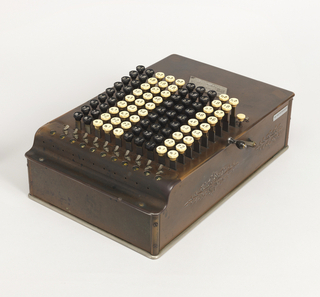 This simple and reliable machine was capable of all four arithmetic functions. 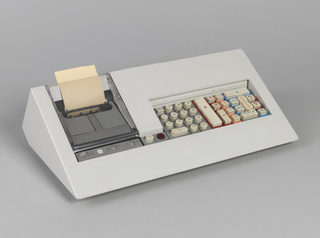 This model DRV calculator facilitated one-handed operation, with all of the controls located on the right-hand side. It is credited Gift of Barry Friedman and Patricia Pastor. 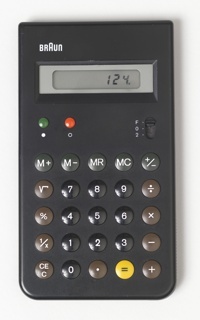 Overall: 11.2 x 31.8 x 15 cm (4 7/16 x 12 1/2 x 5 7/8 in. ).